The Advance Tabco DTA-100-X pre-rinse basket holds dirty dishes as they are pre-rinsed before being sent thought the wash, rinse, and sanitize procedure. The bottom of the pan is perforated. This basket is designed to fit 3⁄4-inch-radius sink bowls. The pan can accommodate bowls that measure 20 inches by 20 inches by 4 inches. 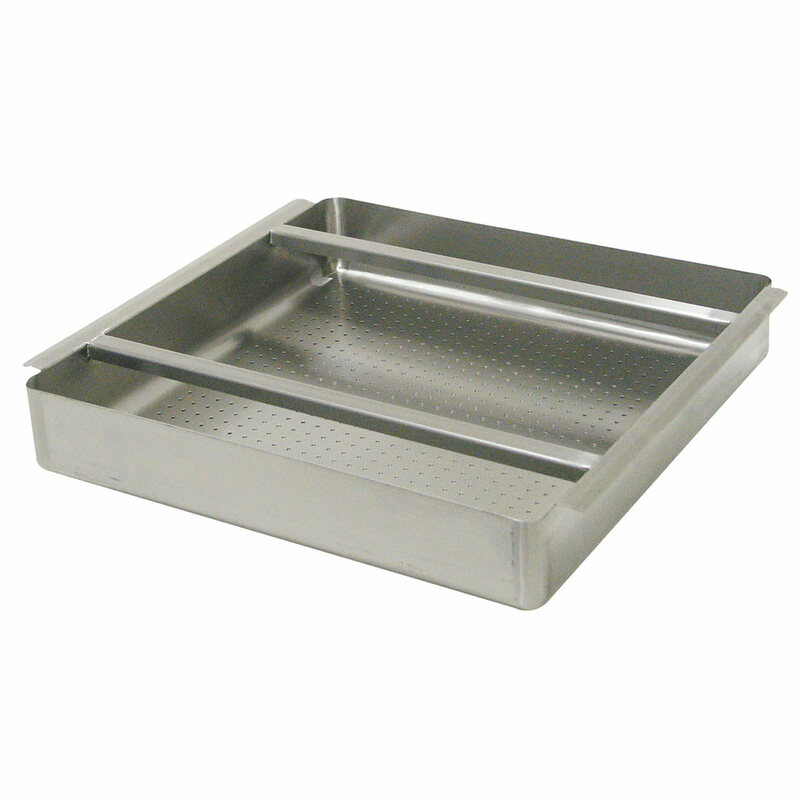 The pan is easy to clean thanks to the stainless steel construction. The Advance Tabco DTA-100-X pre-rinse basket is all TIG welded for durability, and all the welded areas are blended to match nearby surfaces. Accommodates bowls measuring 20 in. x 20 in. x 4 in. John Boos DWB8156 Wicker Basket for OC Series Tables, 8x15x6"